Are you planning to buy gift cards for this upcoming Holiday Season? Do you buy groceries and gas? Do you go out for dinner or movies or frequent a coffee establishment? Are you updating your home with renovations or décor? Does your company buy gift cards for staff or clients? 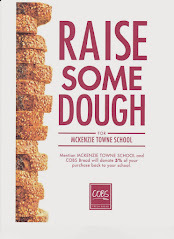 If so, please help support McKenzie Towne School Parent Association. When you purchase gift cards which are spent like cash, a rebate goes back to our school automatically! There is no additional cost to you! When you order $150 in gift cards, you pay $150 and you get gift cards worth $150! It’s that simple! Order forms can be downloaded here and need to be returned with payment to the school by FRIDAY, NOVEMBER 18th. Gift cards will be available for pick-up at the school on Thursday, Dec 8th between 3-4pm, or 6-7pm. Please e-mail fundraising@mtsparents.com with any questions. Thank you for your support! Thank You to ALL Our Casino Volunteers! Gift Card Reminder - Orders Due This Friday! Urgent - Casino Volunteers Needed!